Your corporate sponsorship will help save lives. Your company’s support matters. We’ve never been closer to a treatment for DMD. Every dollar we receive for ETED goes directly to supporting gene therapy. Specifically, we donate all the funds we raise to the renowned University of Texas UT Southwestern Wellstone Muscular Dystrophy Cooperative Research Center through Parent Project Muscular Dystrophy (PPMD) where scientists recently made a breakthrough with gene therapy and successfully corrected the mutations that cause DMD in test subjects. For many boys with DMD and their families, this technology, known as CRISPR, is our best hope for a treatment, for this muscle-wasting genetic disorder that is robbing us of our time together. All of our efforts have been for this, which is why there’s no better time to support Everest to End Duchenne by donating to the organization, or via one of the 10 individuals trekking to Mount Everest Base Camp this fall to raise awareness of the efforts. As we prepare for our signature trek to Mount Everest Base Camp in Nepal, we offer many ways for individuals and organizations to support this important effort. 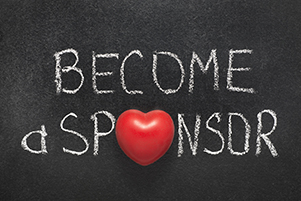 We’re happy to customize a sponsorship for your needs, and welcome your involvement in the many promotional opportunities we coordinate before, during, and after the trek itself. Receive your company logo on hopeforgus.org and the Everest to End Duchenne website, and recognition as a Hope for Gus Foundation partner. We’ll include your company information in social media and print media marketing, including your logo on our event t-shirt. We’ll also snap a photo of a team member displaying your t-shirt logo when we get to Everest. Includes all benefits included in the Trek Level Sponsorship, AND a 4×6” flag of yours and our logos together, and photos of the team with your flag at Everest Base Camp. Get all the perks in both Trek and Peak level sponsorships, AND your logo featured in a place of honor on t-shirts and our exclusive Everest to End Duchenne team jackets. We’ll also involve you in media appearances and interviews if you’d like to join us to share why you are supporting the fight against DMD. We offer only one sponsorship at this level. Send a note to your boss, the owner of your company, the HR person, or your colleagues and invite them to be a part of Everest to End Duchenne, and a treatment for DMD. Share this post with them, or show them this video about our last trek to Everest in 2015, which was the Hope for Gus Foundation’s most successful fundraiser ever. From the bottom of our hearts, we thank you. Email us at info@hopeforgus.org for more information or to reserve a sponsorship for you or your company.